Moving your business to a new location can be a difficult process. That is why we offer professional guidance that will aid you throughout your commercial relocation process. Our highly trained commercial movers have the knowledge and expertise to assure your sensitive office equipment is moved with the proper care that is vital for relocating your business. If you have ever decided to move your office from one place to another, you know how laborious and tedious it can become. You will have to pay close attention to every single aspect and make sure all the equipment are transported in a timely manner. Since it is not possible for you to do all this on your own, many business owners seek the assistance of our commercial moving devision to assist with their commercial move in San Antonio or Texas. 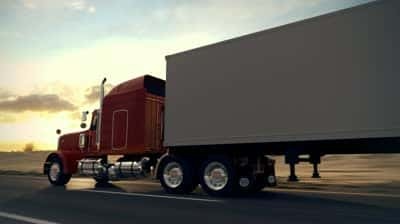 Before contacting a moving company, many business owners think twice because of the big cost factor that is associated with bulk transportation. Unlike homeowners, the company owners are always concerned about saving money as much as they can. If you are concerned about the cost of transportation, you can choose our commercial movers San Antonio without any hesitation because they offer the lowest rates compared to any other mover in town. When it comes to service charge calculation, they follow a different approach, which has assisted them well to provide a better service at an affordable rate. For example, they start counting the time only after arriving at your doorstep, where other service providers start it while driving to your home or when you schedule a date. Moreover, they do not charge any additional trip charge fee like others unless it is their scope of the move. You have invested a lot of money on the belongings of your commercial property and they need to be moved without any damage. Our San Antonio commercial movers are experts in moving expensive belongings with extra care. All the items will be packed properly within the trucks to avoid hassle during transportation. The trucks are fully licensed, bonded and insured, so you don’t need to worry about anything. The expert staff members will even assist you when unpacking the items after reaching the destination. Movers San Antonio maintain excellent communication with their customers throughout the entire process of moving. This will create an ideal platform for you to express your needs in a clear manner and get the work done according to your expectations. They even offer some fabulous suggestions about post relocation options. Their customer service is excellent and it has helped a lot for commercial movers San Antonio to maintain the excellent reputation throughout the past 14 years. Commercial movers in San Antonio are experienced and they will make sure all the belongings in your commercial property including fragile computers, expensive furniture and other office equipment is transported to the new location without any damage. They will take all your stuff on time, giving plenty of options to make the relocation easy. Therefore, all the commercial property owners who are planning for a relocation can think of San Antonio commercial movers. Our exhaustive commercial moving services use an efficient packing system designed for commercial moving. Each item is specifically coded and labeled by room. In the event that you would prefer to pack the office yourself, we will provide you with all of the necessary packing materials.